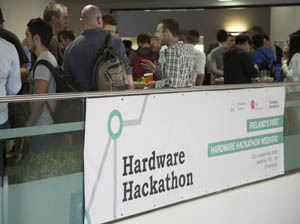 InspiredStartups.com have recently participated in Dublin Startup Weekend, a weekend-long entrepreneurial workshop where aspiring entrepreneurs, designers and developers get together, pitch their ideas, form teams and build startups in the space of 54 hours. 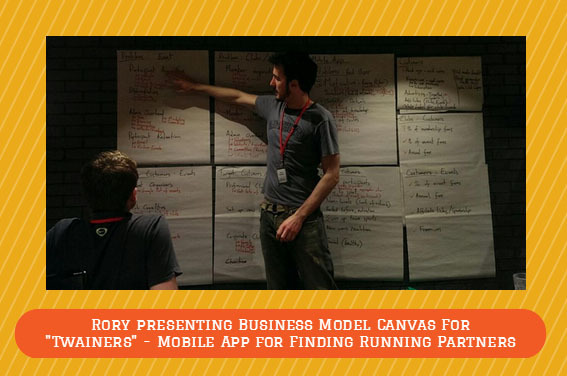 After this incredible Startup Weekend workshop which took place in Google Foundry in Dublin we decided to share our personal experience and that of other participating startups. 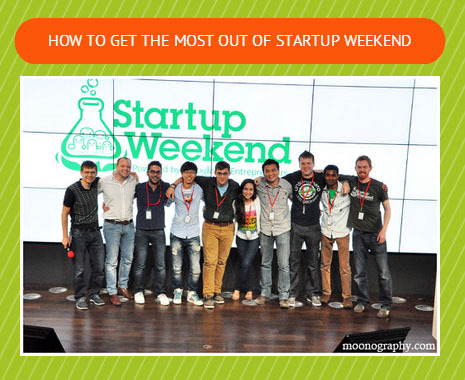 We also have some great tips for future participants to help them maximise their startup building experience during the upcoming Startup Weekend events. One of the main objectives of the Startup Weekend is to connect people with entrepreneurial aspirations and help these young entrepreneurs expand their networks and become part of the established startup community in their city. In addition, everyone attending Startup Weekend has something unique to give or offer which makes the entire event a great opportunity for all participating entrepreneurs to help and learn from each other. 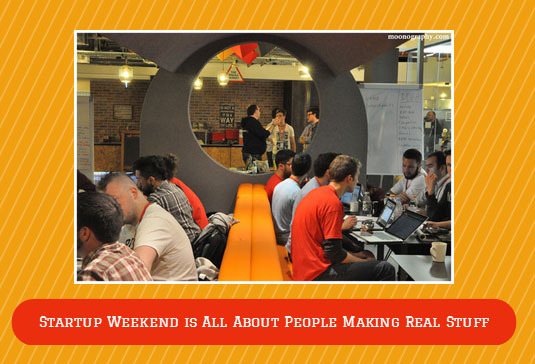 At Startup Weekend you will meet with great people. 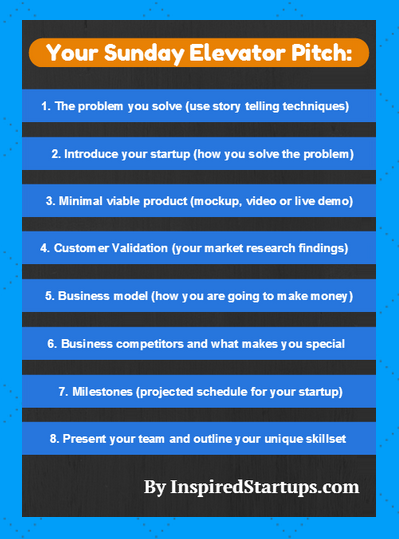 However, before coming to the event, you need to have a clear understanding of what skills you require for your startup and you also need to communicate this set of expertise you are going to need when pitching your startup idea on Friday. Skills you should consider include graphics and UX designer, front-end and back-end software developer, mobile app developer, business, marketing, social media, sales and finance person. Don’t forget that diversity in your team is equally important and have a big picture of your team beyond the Startup Weekend. Work the room as soon as your arrive at Startup Weekend and try to talk to as many people as possible to find the right skills but also potential “supporters” for your startup idea. When forming the team, try to look for complementary skillsets but also keep in mind that some people tend to leave Startup Weekend earlier. So, if there is a specific skill which is essential for your project, try to form a team which includes two people with this particular skill. However, keep in mind that teams with too many people tend to get in their own way; they are inefficient and require a lot of effort to coordinate. A team with 4-6 people would be the ideal size. To get the most from your team, have a team leader, define team objectives for the weekend and assign team roles and responsibilities while taking everyone’s personal objectives into account. Don’t forget to have the fun with your team and make sure you engage with other teams during the weekend! Another benefit of attending Startup Weekend is that it will give you a unique opportunity to meet and learn from seasoned and highly respected entrepreneurs and mentors to help you with your product and customer validation, business model and marketing strategy, your website design and online strategy, your route-to-market plan, your investor pitch and presentation skills and many other entrepreneurial disciplines. Leverage the free-of-charge expertise of your mentors. Entrepreneurs are extremely busy but they volunteer their time because they want to help and give valuable advice to aspiring entrepreneurs like yourself. Prepare your questions prior the startup weekend and be clear with your objectives and most importantly be ready to learn! Connect and keep in touch with your mentors after the weekend. If they like your idea, they will likely be able to connect you with the right people, or they might become your startup advisor or could even help you with funding. We believe that you should always talk to your customers before you talk to investors. Startup Weekend is a great opportunity that will help you validate your startup idea in a number of ways: by pitching your idea and getting the feedback and more importantly by encouraging you to talk to your prospective customers during the weekend. Firstly, the more you bear in mind that the more customers you talk to, the better you will understand them. However, be prepared that there won’t be enough time to do enough customer validation during the weekend. Therefore, try to prepare an online survey (using free tools SurveyMonkey and Fluid Surveys) in advance of the weekend. This will save you valuable time over the weekend. 1. Use a screening question to ensure that you are getting responses from your target audience only. 2. Provide your respondents with a number of statements and ask them whether they agree or disagree with each of them. By using this question you will be able to better understand their pain points and identify their unmet market needs. 3. Your third question should introduce your solution/product/service in a simple language and ask them for their initial feedback. 4. Next - find out whether they’re already using another like it and how often they are likely to use yours. Identify both drivers and barriers. 5. Gauge if they are willing to purchase it, how often and what price they would consider appropriate. 6. Ask them for their email so that you can let them know first when launching your product. When collecting responses, talk to the other teams and be prepared to go out and hit the streets to better understand your specific market. Tapping into your social networks is also a quick way of collecting responses and making your survey go viral. If talking to relatives or friends, encourage them to give you unbiased views. Don't forget to bring your tablet or iPad along with you - these are best for capturing responses via online surveys! If your market is very niche, you can leverage discussion forums where you are most likely to find your specific niche market to provide you with relevant feedback on your idea. Finally, be open -minded and listen to their feedback carefully. Based on your overall findings be ready to pivot or even kill your idea. If you are planning to build your own company, you will need to become an expert at pitching your business. Pitching is 10% success and 90% failure. That’s the fact. So the sooner you start practicing your pitch and the more you rehearse it, the better you will become at it. Startup Weekend will present you an opportunity to practice your pitching skills and hear and learn from other entrepreneurs pitching their products or services. This is effectively a sales pitch: you are selling your idea to the room of potential voters or team mates. 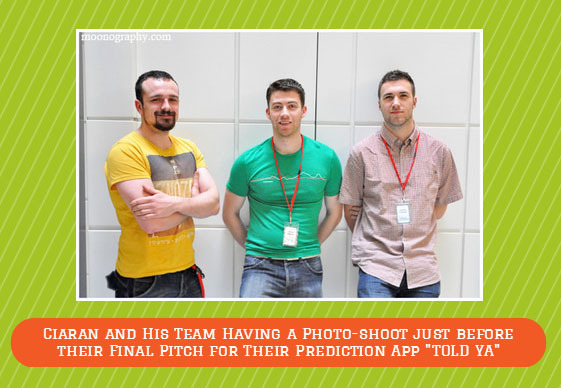 Their votes will determine whether your startup idea will be selected to continue over the weekend. The success of your elevator pitch will depend on: PREPARATION (describe your product in a very simple language so that everyone can understand); PRACTICE (pitch your startup idea to your peers, colleagues or family beforehand and listen to their feedback) and PASSION (remember it’s not just your idea but your passion you put behind it because people need to believe in you before they buy into your idea). Also keep in mind that pitches are limited to 60 seconds (equivalent to approximately 100 words). This means that everyone pitching will be promptly cut off after their 60 seconds. Sunday pitch is a great opportunity for you to show what you managed to do with your team during the weekend. After you have formed a team, defined your problem, interviewed your target customers, conducted competitive analysis, brainstormed ideas and concepts, consulted your mentors, built minimal viable product and created an appropriate business model, you will be ready to pitch your business and demo your prototype in front of your peers and a panel of experienced judges to receive valuable feedback. Leave yourself enough time to practice over the weekend. Practice your pitch in three phases; by yourself in a quiet place, pitch to your team members but also to participants from other teams. By pitching to someone not involved in your project, you will receive a more unbiased feedback which will put you in a better position when pitching to the judges and the audience on the Sunday evening. Your PowerPoint slides are as important as your pitch. Entrepreneurs often make mistakes by overwhelming their audience with too much data and boring slides. Based on our experience we learned that the most successful pitches are those that can tell the compelling personal story and use pictures to create story appeal. If you are a team leader but not a good strong presenter, choose someone else from your team. 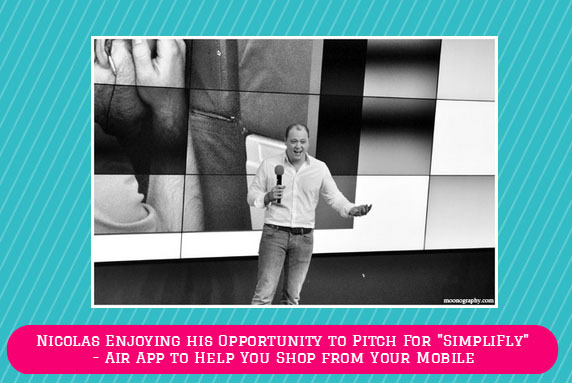 But make sure that whoever delivers the pitch should be aware of the wider startup community on the Sunday evening. While being playful keeps your audience engaged, your jokes should stay respectful of everyone in the audience. If you feel nervous during your presentation pitch, talk to one single person from the audience sitting in the front rows and then slowly move to the rest of your audience as well as the panel of judges. Video might be safer than live presentation when showcasing your minimal viable product. 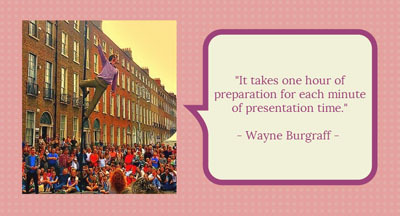 Prepare your video in advance and include it in your presentation. Try some of this screencast software to help you with your video: Jing, Screenr, Screencastomatic, or CamStudio. 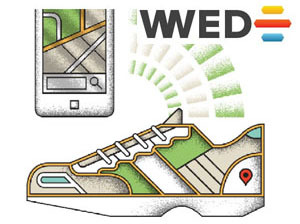 I came to Startup Weekend with an idea that had been stewing in my head for over 6 months. I pitched it and received an overwhelming amount of validation which has spurred me to go ahead with the business full time. The feedback and moulding of the idea by the SW mentors was incredible and without the SW environment would have been extremely difficult if not impossible to come by in such a short amount of time”. On Friday evening before the ideas pitch is the best time to network, people are more likely to join your team or vote for your idea if they have met you before and like you. Use mentors to the best of your ability so talk to a design mentor, a business mentor, a tech mentor and a presentation mentor in addition to any mentors who have experience in the sector your idea is in. I prefer small teams of 3-5 people. Too many cooks spoil the broth. If you're the idea guy then you're going to have to explain your idea and vision to your team in depth so they know where you want to go with it. Manage your team and your time - you don't have much! 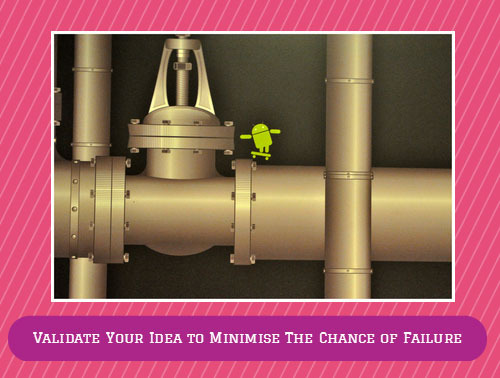 "Startup Weekend is an adrenaline-filled tech adventure that forces you to redefine your perception of ‘possible’. 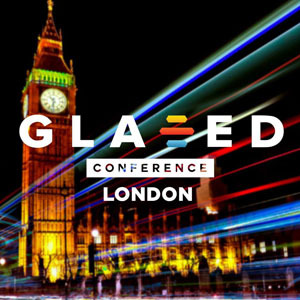 I signed up to the event with no agenda, no pitch, no concept really of what I should expect. I left Startup Weekend heading up a brilliant team, delivering the winning pitch, and now looking to lead us along the well-trodden, yet rocky path of a tech startup. Give 100% of yourself to every moment of the 54 hours. You only have one weekend so enjoy every second and work like you have never worked before. Be excellent in all that you do. If you are fired up, you will fire on all cylinders. If you fire on all cylinders, you will inspire others to do the same. So, be that person to ignite the flame! A team of people, working towards a common goal, being excellent in everything they do, will do better - and have more fun! - than those who don’t. You will be amazed with how much you achieve in such a small space of time. Our team may have ultimately won Startup Weekend but that is not the biggest prize. For me, and everyone I spoke with, the prize are the people you meet. You will meet some of the most interesting, intelligent, and innovative people your city has to offer. Quite simply, these are brilliant people. When you do one day look to start a business, these are the network you will be calling upon. Not only that, but you will make a tonne of new friends. 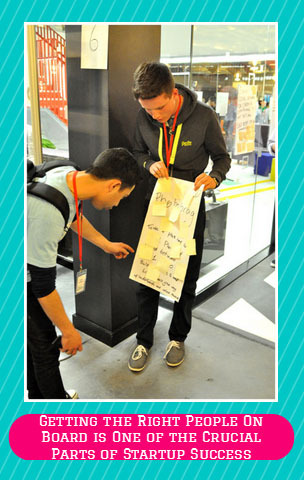 "There were two main things that I took out of the weekend: networking and reinforcing the ideas of the lean startup. I've been in the startup scene for over a year having worked on a genealogy startup - Ancestor's Tale. I've read The Lean Startup and Running Lean books, both highly recommended, but it is always refreshing to get reminded of the core aspects of the lean ideology so that you make sure you don't fall into the "product-first" trap - its all about validating the problem and your solution. For me, though, the networking was much more valuable than the mentorship . I recently moved back to Dublin so I didn't have a large network of people who were interested in the startup space. I tapped into my contacts for introductions and I went to a number of meetups , about 3 a week for a while, but it is hard to gauge from them what skills a person has and whether you can work with that person. I found Startup Weekend excellent for this kind of networking. We formed a great team around the Twainers idea - find a training partner to make sure that you keep to your training and meet your fitness goals. We were really productive over the weekend and we've kept working on the app; we are looking to launch Twainers by mid July. Pitch! It is a unique opportunity to test an idea that you have. You have to prepare beforehand though. 60 seconds is not a long time to get your idea across so practice until you can do it in about 40 seconds. Once you have the core idea communicated start to think of ways you can add humour or something that will make you memorable. There are a lot of pitches and I saw very few people taking notes. One of the other team leaders purposely stayed back so he could go last - that way he was still fresh in people's minds and he was very energetic on stage which made him stick out in my mind. Once the pitch is over you really do need to hustle for votes. My idea was on the far wall in the venue - basically people had to walk past every other idea to get to mine. People only have three votes and a lot of people said they would have liked to vote for me but used their votes before they got there. So i pulled the A3 page off the wall and went walking, pitching to the people I could see who still had votes. If I hadn't done this my idea wouldn't have made it to the next round. And my next steps with Twainers? “I see my experience at Startup Weekend as a wonderful journey of validation. We all have so many ideas but ideas are just ideas, we then need to do market research, talk with friends and relevant industry people to validate that this is something that will work. But even based on all these, we still lack one important part – a team: a group of people who share the same passion and believe in it. 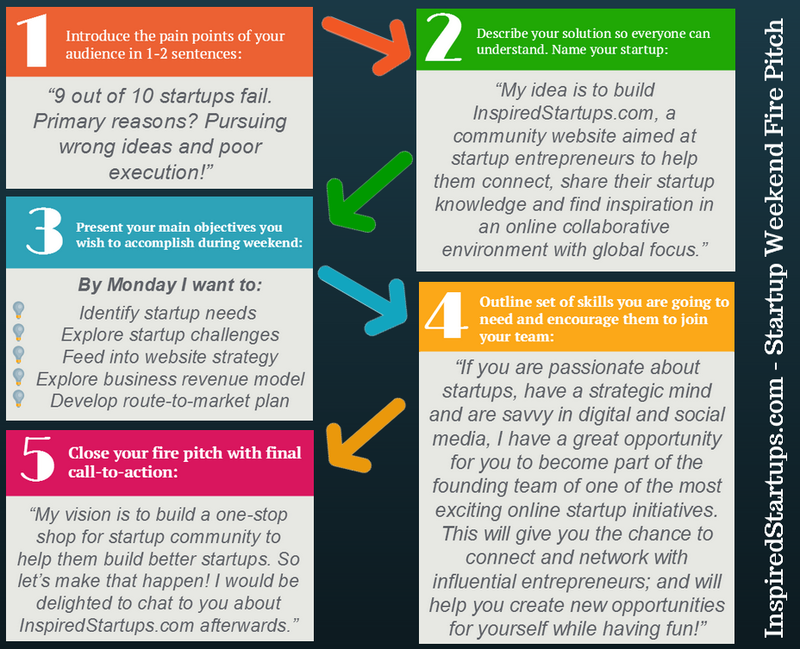 By joining in Startup Weekend, we were able to do all of the above and this is the reason why I would like to recommend people to join in on this event. However, I also have some tips for the future participants, it doesn’t really matter if you won or lost on the event, you still have a very long journey to go if you want to build up your idea into a business, so keep a clear mind as always and focus on doing more business and customer validation as well as improve your business model instead of talking about setting up a firm or otherwise. Entrepreneurship is like an adventure, it is exciting and dangerous, make sure you enjoy it! 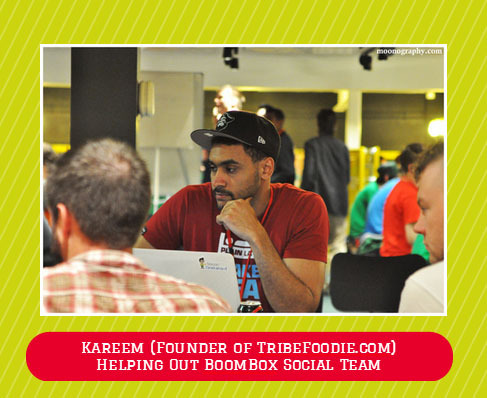 “Startup Weekend was, first of all, a great opportunity to judge my idea from a business perspective. I gained a better insight in what are the different criteria based on which people judge the potential success of a business. 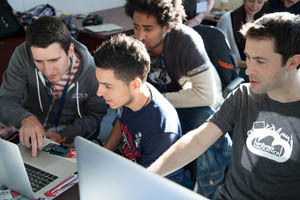 This wouldn't have been possible without the help of the mentors – another aspect for which I consider the Startup Weekend very valuable since it enabled me to connect and interact with people having an extended experience in building or working for a startup. Second of all, although the time was short, the weekend made me understand better the complexity involved in building a startup. There are a lot of decisions to be made and a lot of aspects to be handled in the process, that is why having a team with complementary skills and experiences is an important factor in the success of the pursuit”. My advice for the future attendees would be to focus on identifying potential members for their team as soon as possible; don't wait for the official team formation phase to convince people to join your team. Instead, use the time before the pitches start and the breaks to talk persuasively about your idea to as many people as possible and convince those who would be important for your team to join you”. “The experience was really inspiring. It was great to be around a lot of hardworking people with great ideas”. I would recommend that people would come with an open mind and not be afraid to share their idea and receive other people's input on it. It is not every day that you get the attention of a big audience for a minute to share what you have been thinking of or working on. Finally, looking back, Startup Weekend was certainly one of our best entrepreneurial experiences to date and we would recommend it to anyone interested in improving their entrepreneurial skills & connecting with startup community. 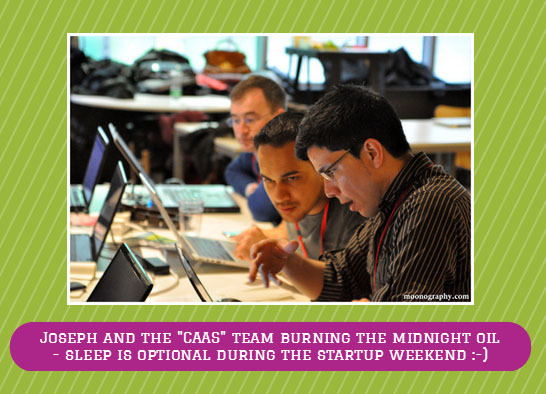 We only wish there were more of startup weekend programs taking place in Dublin. 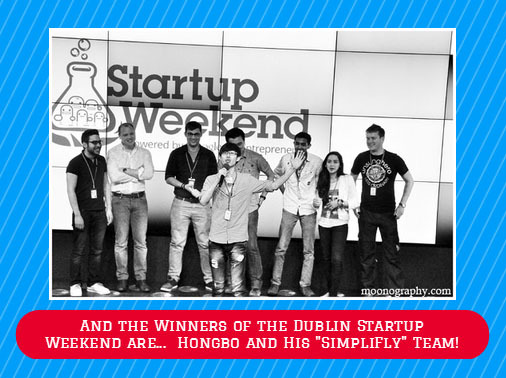 Our final tip: since Startup Weekends are highly popular, the tickets go very fast as soon as they are released; so keep an eye on the upcoming weekend by following @SWDub on Twitter or by subscribing to Startup Digest. Hope to see you there next time! 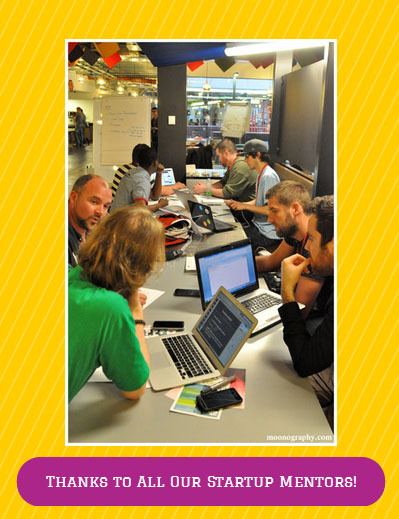 PPS: If you've participated in Startup Weekend, please leave a comment to share you experience or give some tips! If we left out anything in the article, please leave a comment with your thoughts, tips or experience from the event.